Event photo captions are typically provided to TOPS by the event organizers. We do our best to check names and spelling…but we are all human and make mistakes.Please contact kristen@topsmarketing.com with any corrections and we will make note of it in the next issue. Book one of our talented photographers at topsinlex.com/book-a-photographer.php. TOP Marketing Group can get your message in front of Central Kentuckians everywhere through print, digital, email and social media. Email us at advertising@topsinlex.com. Get the latest issue, hot off the press. 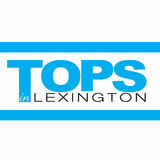 1 year (12 monthly issues): $19 2 years (24 monthly issues): $36 Subscribe today at topsinlex.com/subscribe. The views and comments expressed by the authors are not always that of our editors or publishers. While every effort has been made to ensure the accuracy of the information in this publication, TOP Marketing Group accepts no responsibility or liability for any errors, omissions or resultant consequences, including any loss or damage arising from the reliance on information in this publication. All images contained in TOPS in Lexington Magazine are subject to copyright of the artist or photographer as named, but not limited thereto. Reproduction of any part of this magazine without prior written permission is prohibited. During their two-year tenure at The Well of Lexington, these survivors-turned-thrivers learn to live a clean, drug free life. They also ﬁnd employment, advance their education and learn crucial life skills, such as learning to trust and learning to take control of their own life; difficult but critical lessons to learn. “What happens to these women takes a very long time to undo,” Eileen reminds us. “Each resident that enters The Well comes with her own unique story and here, each individual’s needs are thoughtfully addressed and carefully attended to.” In their ﬁrst year of residence at The Well, the core focus is on rebuilding, both physically and emotionally. While regaining their strength, women of The Well are provided professional support through a life skills coach, social workers and counselors. They receive transportation to medical and dental appointments and comply with all court ordered appointments. When: 10am - 12pm. All are welcome. If you live or work in Lexington, you’ve seen the amazing impact that Live Green has on our community. From planting trees at local parks to ensuring that hazardous materials don’t end up in our streams, this initiative helps keep our bluegrass green! Part of the Department of Environmental Quality and Public Works, Lexington Live Green is your go-to source for environmental questions and issues. They work to preserve, protect and enhance Lexington’s environment by educating the public about the need and benefits of creating a healthy and sustainable quality of life for our community. To learn more about what Lexington Live Green is up to and how you can help, visit LexingtonKY.gov/livegreen. Tune in to Lexington Community Radio (93.9FM) on Mondays at 11am (or in Spanish bimonthly on Monday at 11am on El Pulso 95.7FM) to learn more about living and working green in Lexington. Back episodes are available on Soundcloud. You can get text or email notiﬁcations about city services and programs, such as curbside waste collection schedule changes, vacuum leaf collection dates, volunteer events, alerts when conditions are prime for sanity sewer overﬂows or special collection events, such as Hazardous Waste Collections and Paper Shred. Visit LexingtonKY.gov/311alerts or register through the LexCall app. There are tons of other great beneﬁts to being in the know with the "LexCall 311" app, from requesting pothole repairs to getting the latest traffic alerts! REFOREST THE BLUEGRASS Saturday, April 13 | 9 a.m. – 1 p.m. Masterson Station Park – 3051 Leestown Road Help expand Lexington’s urban forest and protect local waterways by planting native trees. Celebrating 20 years! LexingtonKY.gov/Reforest. PAPER SHRED Saturday, April 27 | 9 a.m. – 2 p.m. 1631 Old Frankfort Pike – Enter Jimmie Campbell Dr. Safely shred unwanted documents and papers. Did you know that aside from being a nuisance, pet waste harms our water quality? Decomposing pet waste uses up oxygen in water that ﬁsh and plants need to ﬂourish. It also contains nutrients that encourage algae to grow in streams, further harming ﬁsh and plant life. It can also contain harmful bacteria and parasites that can cause problems for people and other animals. The best thing you can do is always pick up after your pet, whether you’re on the sidewalk, in a park or on private property. Carry baggies with you and dispose of them in containers for trash–never in recycling carts and bins or in gray yard waste carts. Do not use pet waste in compost or as a garden fertilizer. KENTUCKY RIVER CLEAN SWEEP Saturday, July 27 | 9 a.m. – 1:30 p.m. Clays Ferry Boat Dock (Use 9079 Old Richmond Rd. for GPS.) Have fun while cleaning up the river. Breakfast and lunch provided to all participants: LexingtonKY.gov/RiverSweep. Best Move: The moonwalk. No, wait, that’s my partner, Bobby. Secret Weapon: My competitive energy and pursuit of success. Favorite Music Genre: Unfair question – I love ALL music! Dancing Inspiration: My darling, dancing daughter Aden. Biggest Challenge: Not looking at my feet. Why are you excited to participate in DWTLS? From fundraising and bringing awareness to this great cause to learning a well-choreographed dance, DWTLS is such a great event to focus positive energy. dancing with Duncan King Best Move: My nieces would tell you it’s ﬂossing. They are always goading me into doing that move for them. Favorite Music Genre: I love ALL music. I always have a song in my head and am singing or dancing around my house. If I have to choose a favorite genre, it would be pop (speciﬁcally boy bands). Don’t judge – I grew up in the ‘90s. Dancing Inspiration: Paula Abdul has always been a favorite of mine since I was a kid. She has great moves! Why are you excited to participate in DWTLS? It is such a fun and unique concept! I appreciate philanthropic efforts. Dancing Inspiration: Fred Astaire Biggest Challenge: Overcoming my fear of embarrassing myself! Why are you excited to participate in DWTLS? In my medical practice, I am often assisting patients to do things that are often times out of their comfort zones. In order to reach your full potential, I believe that you must occasionally do things that stretch the boundaries of your comfort level. If I can help raise money for a charity that I believe in while stretching the limits of my own comfort, grow from the experience and perhaps inspire my current or future patients to strive to be better... well, that just sounds like a triple win. Best Move: Agreeing to participate! Secret Weapon: Our wonderful instructor, Chris Stone. Favorite Music Genre: Classic and Prog Rock Dancing Inspiration: Raising money for the charities! Biggest Challenge: Practicing at home with our 3 beagles at our feet... Why are you excited to participate in DWTLS? We are honored to be dancing to help support Surgery on Sunday and the many other great charities supported by the Lexington Rotary Endowment. Secret Weapon: Our cute kids: Lauren (16), David (14) and Natalie (10)! Bret’s Dancing Inspiration: I attended a talent show when I was 13 and did a breakdance routine. I was hooked. Also, love Saturday Night Fever. Bret’s Biggest DWTLS Hurdle: I had knee surgery in January and getting ready to practice was a challenge. Also, coordinating 4 others in the routine is an absolute trick! Why are you excited to participate in DWTLS? First, to raise money for this great cause. Second, I’m on a mission to be in the best shape of my life when I turn 50 this September. I want to prove I can still break it down like it’s ‘85. Lastly, I wanted to include my family in the process. We all are so busy, and grateful we have this chance to make memories of a lifetime. Matthew’s Best Move: Picking a great partner! Angela’s Dance Inspiration: Frances “Baby” Houseman Matthew’s Dance Inspiration: Used car lot inﬂatable tube man... Angela’s Biggest Challenge: Not tripping! Why she’s excited to participate in DWTLS: It’s an opportunity to put myself out there, learn something new and help people – who wouldn’t be on board with that? Why he’s excited to participate: It’s a great opportunity to get involved and make a difference in my community! Secret Weapon: Meditation. Favorite Musicians: Michael Bublé or The Standards – any music associated with that genre is great. Biggest Challenge: Keeping up with my dance partner! Why are you excited to participate in DWTLS? Being a part of the health care community, it’s an honor to help support Surgery on Sunday. Best Move: Carolina Shag Secret Weapon: Having fun no matter what! Favorite Music Genre: I love every type of music, and I’m frequently changing up what I listen to. Dancing Inspiration: Dancing With The Stars TV show Biggest Challenge: The one foot height difference between me and my wife! Why are you excited to participate in DWTLS? This is such a wonderful opportunity to make a difference in the lives of folks in the community through Surgery On Sunday. of Saint Joseph Hospital Foundation dancing with Jani Szukk Best Move: Turns & Spins Secret Weapon: My costume! Favorite Music Genre: Classical Dancing Inspiration: Yulia Zagoruychenko Why are you excited to participate in DWTLS? I’m so honored to serve CHI Saint Joseph Health advancing the philanthropic agenda to support our hospitals, facilities and the patients and families we serve. The Sisters of Charity of Nazareth began the mission of compassionate care to the poor and underserved in 1877 , and it is a tradition we still carry out today. It’s why we are proud to be an important partner for Surgery on Sunday, and I’m thrilled to have an opportunity to participate as a dancer for this worthy cause. dancing with Chip Sebastian Best Dance Move: It’s got to be my dance moves to the Baby Shark song with my toddler grandsons. This catchy kid’s song went viral and hit the Billboard Hot 100 songs and is a great way to get exercise with your little ones on rainy days. Favorite Music Genre: My love of music spans across everything from opera, to western swing, to classical and pop music. Dancing Inspiration: I’m a fan of old, classic movies so I have to go with Fred Astaire and Ginger Rogers and anything choregraphed by Jerome Robbins (West Side Story and The King and I) or Bob Fosse (Caberet and Chicago). Biggest DWTLS Hurdle: Choosing a very challenging waltz to learn for my dance routine. Why are you excited to participate in DWTLS? It’s an exciting, yet humbling experience for me to express myself through dance while raising money to beneﬁt the skilled, compassionate works performed by the dedicated Surgery on Sunday doctors, nurses and staff. Inclusion Palooza honors those with disabilities The 2019 Inclusion Palooza will be held on April 27th 2-7pm at the Moondance Amphitheater in Beaumont Circle. This community event honors individuals with disabilities and their contributions in our community, schools and workplaces in Kentucky. Inclusion Palooza was ﬁrst hosted last year in an effort to bring people together and celebrate our differences and similarities through the power of music and advocacy. This year, they will feature live music from Joslyn and the Sweet Compression, Baja Yetis, Metric Soul, Little Dub, Tripp Bratton, Mojo Tones, as well as a few on-stage surprises. West Sixth Brewery, Pivot Brewing, Go-Go Burger, Kona Ice and other food and drinks vendors will be in attendance. They will also have family-friendly activities and exhibitors. The event’s presenting sponsor is Life Plan of Kentucky. Inclusion Palooza is hosted by Build Inclusion and Lexington Parks & Recreation. DiverCity Festival connects our diverse community The ﬁrst annual DiverCity Festival is going to be held on April 27th at the Robert F. Stephens Courthouse Plaza from 3:00pm until 10:00pm- rain or shine. It is free to attend the festival, which will feature entertainment, food, live performances,and opportunities to interact with fellow community members. The purpose of the festival is to help educate, embrace and celebrate the multitude of cultures that enrich Lexington. DiverCity’s goal is to enlighten individuals and bridge the gap between people’s experiences and understanding of the world. They want to highlight the similarities and differences that makes Lexington such a great place while inviting everyone to embrace the diversity that we have here. Everyone will walk away from the DiverCity Festival with a greater appreciation of how our wealth of diversity contributes to our arts and culture. From now until the event, the DiverCity Festival is accepting applications for sponsors, vendors, organizations and volunteers. They also welcome individuals to volunteer and support the event. Battle Axes is now open for daytime and corporate events! Battle Axes is Lexington’s premier hatchetthrowing destination, located in the James E. Pepper Distillery. They offer casual throwing, league play, corporate events, and private parties. They also offer almost 60 canned beers and ciders (half of which are Kentucky Proud), soda, bottled water and snack foods that are available for purchase. Reservations must be made at least 48 hours in advance. Walk-ins are also available, with times slots that start on the hour or half hour. There are also a handful of house rules that everyone must abide by: you must be 18+ to play, but minors aged 13-17 are allowed daily until 6 pm. The Railbird lineup is here! Railbird Festival, a new world-class music festival led by AC Entertainment coming to The Grounds at Keeneland August 10-11, 2019, is proud to present its inaugural lineup, ticket levels, premium festival experiences and more. Those topping the weekend’s bill include American rock supergroup The Raconteurs (Jack White, Brendan Benson, Jack Lawrence and Patrick Keeler) and singer-songwriter Hozier, whose latest album Wasteland, Baby! debuted at No. 1 on the Billboard 200 charts. Additional music acts will feature Tyler Childers, Grammy-award winner Brandi Carlile, Gary Clark Jr., Old Crow Medicine Show and many more. A full list of conﬁrmed artists from the 2019 lineup can be found on the Railbird website. More than 30 acts will perform across three stages – Limestone Stage, Elkhorn Stage and The Burl Stage – during this two-day festival. General Admission (GA), VIP and Superfecta weekend passes are available to the public via RailbirdFest.com. Layaway plans will be offered for all ticket levels, with ﬁrst payments starting at less than $40 plus fees for GA.
Wild Health at Proof offers a unique approach to wellness There’s a new family medicine clinic inside Proof Fitness! Wild Health at Proof takes a unique approach with patient care that starts with truly getting to know each client. the client’s body that affects their overall health. The team of certiﬁed professionals starts by delving deep into each client’s foundation through genetic testing. This allows them to gather in-depth information that helps them create a personalized plan for care. Perhaps most importantly, the Wild Health team opens up a dialogue with each patient. They discuss every client’s individual lifestyle, including family, work, goals and stressors. This helps the team understand what treatments may be appropriate and what underlying factors might affect the patient adversely, now or in the future. Wild Health at Proof offers a wide range of services such as: athletic performance optimization, stroke and heart attack prevention, Hormone Replacement Therapy, dementia and Alzheimer’s management, vitamins, nutrition, healthy aging, weight loss, stem cell therapy, PRP and regenerative medicine. Jeff Ruby is on his way, Lexington! Jeff Ruby’s Steakhouse is coming soon to Lexington with an expected opening of April 20th! One of the most highly-anticipated additions to the Lexington dining scene in 2019, Jeff Ruby’s Steakhouse, Lexington will be located in the City Center project in the heart of downtown. No doubt it will be a local go-to for client meetings and elegant date nights. What can diners expect at the Lexington Jeff Ruby’s? Like its sister in Louisville, the menu and interior will be adapted to suit the Kentucky culture. Steaks, sushi, desserts and drinks anchor the creative menu. Jeff Ruby has been in the culinary industry since 1970. His ﬁrst eatery was opened in 1981 and the ﬁrst Jeff Ruby’s Steakhouse followed in 1999. Consistency and quality are hallmarks of a Ruby restaurant – a fact supported by decades of success at his eateries. Jeff Ruby is widely considered one of the nation’s preeminent restaurateurs. And while national organizations like Zagat, Food Network, USAToday and Wine Spectator rank his steakhouses among the best in the country (making him a foodie celebrity in his own right) it is his total commitment to the ﬁnest food, impeccable service and a total dining experience unlike any other that keep his loyal fans coming back year after year. Weinberg Humanitarian Awards honor those who serve our community The Lauren K. Weinberg Humanitarian Awards are given to individuals and organizations whose dedication and service to our community promote respect, understanding and tolerance among all people. The goals of the awards are to celebrate social justice work being done in Lexington and provide a platform for local humanitarians to share their missions and get attention for their work. The 2019 Weinberg Humanitarian Awards were hosted on February 22. The categories for award winners were broken down into three categories: individual, entrepreneur and organization. The individual award winner was Josh Nadzam, director of On the Move Art Studio, the entrepreneur award winner was Black Soil: Our Better Nature; Ashley and Trevor Claiborn., and the organization award winner was Latino Leadership College Experience Camp; Akemmy Bucio Dimas, Daishyera Garner, Edith Cruz, Omar Salinas-Chacón, Erin Michelle Howard and Jesenia Rosalyn Avila. The awards are named after Lauren K. Weinberg, who served the Bluegrass Region for 13 years as the Executive Director of the National Conference for Community and Justice. She worked to help destroy the barriers that divide us along racial, religious, cultural and ethnic lines. She also developed and implemented highly effective and publicly acclaimed youth programs. With these awards and the ongoing work of the Plantory help continue Lauren’s legacy of community inclusiveness and collaboration. the Kentucky Children’s Hospital a benchmark of children’s hospitals. KCH serves as the subspecialty regional referral and pediatric care center for Central and Eastern Kentucky. There are more than 70 pediatric specialists and more than 300 pediatric nurses working in 24 areas, as well as physical, occupational, speech and respiratory therapists, dietitians, licensed clinical social workers, genetic counselor, child life specialists and pharmacists, all of whom are dedicated to caring for children. The Makenna Foundation helps provide equipment and assistance needed for hospital expansion. Since 2001, the Makenna Foundation has raised over $1.3 million for the Kentucky Children’s Hospital. From the Makenna David Pediatric Emergency Center, the foundation’s contibutions have helped make the hospital experience a little more welcoming for children and their families. For tickets or to learn more about sponsorship opportunities, visit MakennaFoundation.com. and federal level. Prior to heading up the organization, Harris, a self-described “reformed politico,” graduated from the University of Kentucky College of Law and served in politics as a litigator, chief of staff, and General Counsel to the Republican Party of Kentucky. Simply put by Harris, the Coalition’s goal is “to ensure that people who have made mistakes have alternatives to incarceration, and if they do serve time, have a pathway home where they can ﬁnd jobs, secure a place to live, and take care their families. Because ultimately that makes us all safer.” Last year, these issues rose to national prominence with passage of the First Step Act, a federal bipartisan prison and sentencing reform bill focused on improving current conditions for prisoners, reducing recidivism, addressing substance abuse, and reforming unduly harsh sentences. Harris gives credit for this accomplishment to states like Kentucky, who have already passed similar pieces of legislation. from left to right: Dr. John Hourigan and his wife Beth; Holly Harris, President of the Coalition for Public Safety; Christie Eckerline; Director of Events at The Kentucky Castle and Dr. Brian Adkins, co-owner of The Kentucky Castle. But there is still much work to be done. Luckily, these issues bring together leaders from across the political spectrum. And Harris adds that, at this celebration, “You will certainly see lawmakers from the far right to the far left. And how many events do you go to lately where you see very progressive Democrats mingling with very conservative Republicans?” Harris was ﬁrst approached with the idea for this event by Beth Hourigan, who owns the local Hourglass Lash & Skin Bar, and her husband Dr. Jon Hourigan, a surgeon. They had seen some of Harris’ national events, and urged her to “come back home, and bring back the Lexington Derby party.” The couple suggested an iconic landmark, the Kentucky Castle, as the venue. The Castle, which was recently named by Architectural Digest as “The Most Beautiful Hotel in Kentucky,” features impeccably decorated indoor areas, such as a bourbon hall, dining room, music room, ballroom, as well as a stunning space on the rooftop. The Hourigans connected Harris to the owners of the Castle, who include Brian Adkins, Danny Bramer, Matthew Dawson, Ryan Dawson, and Jody Elliott, all of whom hail from areas afflicted by the drug epidemic. They were honored to be the venue for The Public Safety Coalition to host “a party for the people” at the Castle in support of criminal justice reform. When planning the party, Harris was keenly aware of Lexington’s rich Derby eve history, steeped in tales from socialite Anita Madden’s legendary fetes, which she attended in college. Recalling the star-studded parties wth lavish costumes and celebrities, Harris says, “There will never be another Madden party.” With no illusions of recreating that era, Harris worked with the Castle team, and tapped Harbinger, a nationally-renowned events and experiences ﬁrm that has managed White House events and the Pope’s stateside visits, to create an evening ﬁlled with incredible entertainment, authentic Kentucky food, and educational experiences. Now entering its eighth year, the Unbridled Eve Gala has become one of the hottest Derby week events. With a closely-guarded list of celebrity attendees and two determined sisters at its helm, this gala has been an uncontested game-changer for the social whirlwind that surrounds Kentucky's most famous sporting event. Rocko Jerome sat down with Tonya York Dees and Tammy York Day, the power duo who mastermind the most buzzed-about charitable gala in Louisville. Churchill Downs the next morning. Creating an event like this in the ﬁrst place and keeping it fresh year after year is a herculean task, which is why it’s no surprise that it takes two remarkable women to make it happen. The synergy between Tonya York Dees and Tammy York Day puts a new spin on the sister dynamic. The two often speak for each other. One always seems to know what the other is thinking before she says it. They occasionally ﬁnish each other's sentences. And they always, always have each other's backs. Unbridled all comes as a result not only of their shared vision, but of this unparalleled closeness. "I think of the two of us as a unit," says Tammy. "You really can't have one of us without the other. People always mix us up for the other and think we're twins, even though we don't think that we look that much alike." They're tight the way you can only be with someone you grew up in close quarters with. "I always say that I prayed her into existence," Tonya reminisces. "The doctors kept saying that this was most likely to be a boy, but I just knew otherwise. When our parents brought Tammy home, I told them so. I knew all along! We were best friends immediately." Each of their lives followed a similar sort of trajectory. They studied business in communications, economics and ﬁnance, then put their education and passion to work in big ways. Tonya served the city for Greater Louisville Inc. before founding York Management, Inc. Tammy was Chief Operating Officer of Delta Dental before taking her current role as the president and CEO of the Louisville Healthcare Council. Outfit of the Month LIFESTYLE 1.
by jesse brooks Spring has sprung! That means the 2019 Kentucky Derby is right around the corner! If you plan on attending and ﬁnd yourself stumped for outﬁt inspo, we are here to help. For such a joyfully Southern (and hopefully sunny) day, it’s all about color. There is no better way to stand out in the crowd at Churchhill Downs than to wear something bold and full of delight. Inspired by the Derby’s official ﬂower, the Rose, we opted for a red infused look that reminds us of the dozens of buds found on the winning garland. Inspired by a trip to The Cloisters, Oscar de la Renta’s latest collection was awash with decorative ﬂoral prints and embroideries that spoke to the label’s elegant romanticism. This scarlet botanical embroidered dress is crafted from silk and features a round neck, a concealed front fastening, half sleeves, a ﬂared skirt and is knee length. Since we have such a spirited dress, the shoes need to be chic and understated. Stuart Weitzman’s signature ‘Nudist Song’ sandals are made from sleek leather. Detailed with two slim straps, they are set on a 90mm heel and have a cushioned insole for comfort. In lieu of jewelry, we decided to incorporate a little sparkle via our bag. There is no better way to pay tribute to this time honored tradition than with a beautiful nod to thoroughbreds. This elegant Judith Leiber clutch is made entirely of bronze crystals and polished gold hardware with a charming and endearing composition that will warm the heart of any horse lover. The most important piece in any gal’s Derby day look is easily her hat. For the 2nd year in a row, designer Christine A. Moore has been named the “Featured Milliner of Kentucky Derby 145.” Her “Lovely’ creation brings out the sunny shades of yellow in the dress, not to mention a touch of drama to our overall ensemble. Crafted with a parisisol broad oval brim with hand cut and sewn silk and silk organza petals, the inspiration behind this piece was the new blooms of early spring. Last but not least, we wrapped things up with a shiny, classic red lip courtesy of Tom Ford Beauty. Combining the longwearing texture of a stain with the high shine ﬁnish of a gloss, this pigmented formula is enriched with moisturizers to keep lips feeling soft and plump. No matter which horse you end up rooting for, this outﬁt’s ‘Winning Colors’ is sure to make you one lucky lady. hen you’re nominated for 4 Grammys and you actually win every one of them, chances are you’re gonna have that winning glow. Musical sensation Kacey Musgraves’s “Golden Hour” album swept the show, and not only was the brunette beauty a major winner on stage, she also gave us butterﬂies on the red carpet. To coincide with Kacey’s ethereal Giambattista Valli couture gown, makeup artist Moani Lee created a beautiful neutral toned makeup up look, with an incredible lit from within glow. Using products from the incomparable Pat McGrath Labs, Moani added a hint of shimmer to the eyes paired with a touch of black eyeliner, mile long lashes and the prettiest of pink pouts. Lee shared all of the key products she used to create this dazzling look (along with the techniques she used), and you can shop them all here to recreate your very own country queen glamour at home. pictures, a lantern with a lit candle and a sign reading, “We know you’d be here if heaven weren’t so far away.” Another sentimental touch Chelsea included were personalized hankies for her parents. They returned the thoughtfulness gifting her a sweet, personalized necklace with their family’s saying, “I love you more than my arms can reach.” Setting the stage for their picturesque wedding ceremony, reception and rehearsal dinner was The Groves on Silas. The couple booked The Groves for the entire wedding weekend to enjoy all of their festivities in one idyllic location. “I loved the venue from the ﬁrst time I looked at it,” Chelsea remembers. “The owners were so sweet and everything you saw you got without any extra fees. We also felt as though the venue ﬁt our personalities, a deﬁnite plus!” While their venue came with an inherently rustic yet elegant backdrop, special ﬂorals and hand-crafted touches took their wedding to the next level. “Jessica Jones at Blooms-n-Blossoms was amazing to work with and helped turn my dream wedding into a reality. I wanted something simple, rustic but still elegant, nothing over the top. She was able to provide just that for all the bouquets, bouts, arch and centerpieces,” says Chelsea fondly. All of the signs created for the wedding weekend were lovingly handcrafted by the bride with the help of family and friends. She adds, “We wanted to keep the rustic look since we were getting married in a barn, so we also incorporated old windows into the decor and featured an amazing donut board built by my dad!” Though nothing could sink the spirits of the bride and groom and everyone in attendance, the night before their wedding, there was a huge storm looming that brought with it a tornado warning, forcing everyone on site to evacuate the venue. In another testimony to the bright and beautiful future in store for this couple, once the rain had cleared, Chelsea remarks, “We heard that rain on your wedding day is good luck, well, Matthew and I should have all the good luck in the world then!” she laughs. Chelsea was angelic in her Bridal and Formal wedding gown as she descended the aisle towards her beaming groom. During the ring ceremony, Chelsea started to put Matthew’s ring on the wrong hand, which brought a chuckle from the crowd. When the time came for the traditional father-daughter dance, Chelsea and her father brought down the house when halfway through, the DJ cut the music and their wedding officiant, (and also the bride’s uncle), began rapping Ice-Ice Baby to which the bride had choreographed a remix of their father-daughter dance. Spring is here and what better way to elevate your spring wedding than with a stunning ﬂoral installation? Soft pastels and lush blooms have a way of adding a ‘wow factor’ to any venue. Whether it’s an over-the-top ceremony arch, a hanging ﬂoral chandelier or a photo backdrop with cascading blooms, incorporating these statement decor pieces is a great way to add some warmth and color into the atmosphere. Here are a few inspiration photos to get your vision blooming. Variety is not only the spice of life, but also one of the key elements in an inspired interior. Throughout Janette and Michael Heitz’s Central Avenue townhouse, you ﬁnd classic taste intermixed with adventurous art, global souvenirs and family heirlooms. Janette’s design philosophy focuses on using “high and low, new and old to create traditional style with a slant.” This translates into mixing high-priced items with bargain ﬁnds, incorporating new furnishings alongside antiques, and blending in contemporary art. She says, “Our furnishings are a mixture of ﬁne furniture, consignment store ﬁnds, family hand-me-downs, auction ﬁnds and online shopping. I like a collected look that is cozy and inviting.” And, Janette is a bit of an expert. Readers glean decorating advice and more from her successful “The 2 Seasons” lifestyle blog, which features DIY projects, recipes, travelogues, design ideas and personal stories. The former journalist started the blog with her daughter, Jordan, eight years ago with the intent of sharing “two generations, two states, two styles.” Now, it has grown into a part-time job. “It serves as a creative outlet. I love it, especially interacting with the readers,” she says. But, perhaps the biggest undertaking was moving an exterior wall to make way for a great room, which required removing a brick wall and two brick ﬁreplaces and adding a steel support beam. To give a rustic touch, the beam was wrapped with wood reclaimed from a New York City skyscraper. Once the construction was completed, Janette immersed herself in the redesign and decorating process. To begin, she chose a neutral color palette with navy accents. She says, “Navy has been my favorite color for as long as I can remember.” She also added pops of color in each room for interest. Then, with the help of interior decorator Beth Harper of the Lone Re-Arranger, she placed furniture and hung art. During the remodel, one room received extra attention. “I’m a kitchen girl,” says Janette, an accomplished cook. She knew exactly what she wanted and knew that Debra Willett Hupman of Creative Kitchen & Bath could achieve it. The result is a room that is both utilitarian and stylish with a combination of low-maintenance Alleanza quartz countertops and walnut countertops from Burton Made; a Kohler farmhouse sink; custom cabinetry in crisp white; and Thermador appliances, including a raised dishwasher. There is also a bar, in Janette’s signature navy blue, with a plate backsplash. But, the most eye-catching element is the unique, white powdercoated stove hood with sleek stainless-steel straps. Janette says, “I wanted a hood that was a showstopper.” Next to the kitchen is a combination walk-in pantry/office with cabinets, drawers, shelving, and a built-in desk from Premier Garage. The adjacent great room again combines traditional couches and chairs with heirlooms like a wormy chestnut trunk passed down from her grandmother and modern touches like Samsung’s The Frame television. Janette loves art that wasn’t ﬁrst intended to be art. So, the walls, boast everything from a map of the United States with French wording purchased from a Paris ﬂea market to vintage magazine advertisements to framed sheet music from World War I that she rescued from her grandfather’s barn. “Art gives a house personality,” she says. The ground ﬂoor also houses a mudroom, enclosed breezeway, and both a powder room and full bathroom. All the home’s bathrooms were also designed by Creative Kitchen & Bath. The townhouse also has a finished third floor, with a large “dorm” room designed especially for visits from the grandchildren, and replete with a craft room, full bath and guest room just next door for “adult supervision.” Throughout, extra touches like solar tubes, which capture sunlight from the roof and deliver it inside, make it truly special. Now, Janette is looking forward to warmer weather, so she can begin making the outdoor space, which consists of a front yard and courtyard built and designed by United Landscape, her own. “The courtyard has room for an herb garden, something I have had for forty years, and colorful, flowering annuals. We are also adding a fountain this spring.” Janette will continue to share her remodeling journey, as well as tips, tricks, and personal anecdotes on her “The 2 Seasons” site. Join her there. Where do you find your inspiration as a kitchen and bath designer? My inspiration comes from the clients themselves, their wish list, the style of their home and the style that they would like it changed into. Thinking up different ways to transform the space into this magical living, cooking and entertaining room of the house is what drives me. Along with my design team, Pam Newton and Jennifer Barnes, we want it to be the best design it can be for their family and lifestyle. What is the most important element of a welldesigned kitchen? The most important is the function of the design and how it works within the desires of the homeowner. Sometimes those don’t coincide—what the owner wants may not function very well for a well-designed kitchen. I’m always very cognizant of having a stunning focal point in the space, whether it is a stone hood or a tall, painted pantry unit with leaded glass. Which kitchen trends are you most excited about in 2019? For several years, the trend has been clean, modern but timeless kitchens. This is a style you can’t get tired of because it has stood the test of time and is a classic. How can someone freshen up their kitchens and baths for spring? Paint, paint and more paint! It’s the best way to freshen up a space without a major remodel. Changing hardware, linens and accessories are all fun things to do. What are three things we could always find in your refrigerator? I am a condiment queen! I have every type of condiment, sauce, mustard and mayo that you can imagine. It drives my husband crazy. We always have condiments, eggs and fresh garlic - very simple. What is a common misconception about working with a designer? The biggest is that a designer is going to be much more expensive than doing it on your own. Designers normally specify better quality products so you will be happier with them in the long run. Mostly we can help clients from making a wrong decision that could be very expensive to make right. We lay out all the electrical and lighting to add emphasis to the space and make it look fantastic. Through experience, we know how products work together to give you just the perfect look for your space. How should one go about choosing the right designer for their project? Word of mouth and referrals from family and friends is a great way to come up with the right designer. That way, you can see their work and have knowledge of how easy they are to work with. Dutch Boy’s “Garden Patch” (326-5DB) is a botanical green that offers a sense of rejeuvenation and comfort. It adds warmth wherever it’s applied, bringing the outdoors in for a wonderful melding of home and garden! Garden Patch was featured in Dutch Boy’s “Homestead” color palette, which aims to capture the feeling of simple living. Mixing soft natural hues with warm neutrals, this on-trend palette is perfect for breathing life into minimalist spaces. It grounds the space without feeling too heavy or serious. A muted palette leaves lots of room for pattern play. You can get a little bolder with textures, inlays and prints when the colors you’re working with are soft and cohesive. Because it’s so soothing, Garden Patch is a great choice for a sitting room, master bathroom or nursery. Its botantical kick makes it clever for kitchen cabinets; it’s also a fun choice for entryways, doors and accents on porches or decks that offer beautiful views of the outdoors. Actual colors may vary from this printed representation. 161 N. Eagle Creek Drive, Suite 200, Lexington (859) 948-1985 | cwdky.com | sigky.com Luxury and maintenance-free living combine to create a unique Fayette County property at the Townhomes at Ellerslie! Commonwealth Designs incorporates immaculate ﬁnishes and upscale amenities throughout these ranch and 2 story designs. New townhome lots are currently available backing to green space with prices starting in the upper 300s. These open ﬂoor plans feature gourmet kitchens, ﬁrst ﬂoor master suites, free standing tubs, walk-in showers, spacious bedrooms and relaxing outdoor living spaces. Ellerslie is a parcel of land with gently rolling hills, a view of Ellerslie Lake to the west and Delong Road to the southeast. Located across from Jacobson Park, this cove is secluded and private with little development nearby. Featuring 77 acres of greenland, exquisite stone walls and a town square style fountain, located 3 miles from I-75 and shopping and less than 5 miles from downtown Lexington and Kroger Field. These townhomes are marketed by Signature Real Estate. Call Reece Miller for your private showing. Hager Cabinets, Inc. began in 1967 when Bob Hager began building homes for friends and acquaintances. As the business grew, Bob and Oberita Hager opened a warehouse and showroom in Richmond. Bob said, “Our focus has always been on quality products, careful planning, and skilled building at an affordable price.” Today, they continue to offer top quality cabinetry and exceptional customer service. See more styles from the Richmond team at the Grand Opening of the Richmond showroom on May 11th. Take away some inspiration for dinner and your dream kitchen as you watch a chef work magic in the functional showroom kitchen complete with GE appliances. Meet experts from Waypoint, Decorá, Aristokraft, & Diamond Cabinetry as well as door, window, ﬂooring & building material specialists who can help you make the perfect choice for your next project! This corner kitchen at Hager Cabinets and Appliances in Lexington showcases full overlay Roslyn door Decora cabinets. With shiplap on the range hood and ﬂoating corner shelves, this kitchen display seamlessly blends an inviting farmhouse style with modern elements. This space features a combination of two ﬁnishes: a hand-brushed Onyx ﬁnish on white and a painted ﬁnish in Interesting Aqua. Cambria quartz countertops complete the look. his is the third home in which these homeowners have turned to j. stuart hurt for his design expertise. The fully remodeled contemporary home gave stuart and the homeowner a blank slate to mix elements such as texture and color. The dining room mixes traditional elements such as the high-back chairs at the heads of the table, with two modern chandeliers and gold framed mirrors. “Having worked with these homeowners before, I’m very familiar with their taste and preferences. Regularly scheduled meetings with them helped keep everyone on the same page and the project progress on-time,” stuart explained. stuart’s favorite element of this project is the original stone ﬁreplace, which is located in the middle of the home. “It is a focal point that not only provides warmth during winter months, but also texture and depth in a spot that would have otherwise been a blank wall,” he said. House by JSD Designs is a beautiful home furnishing and accessories store located on Industry Road. Owners, stuart j. hurt, Dwayne Anderson and Jeremy Rice—known to most as “The Boys”—not only own and operate one of Lexington’s favorite stores, but they also provide Interior Design services and custom ﬂoral design to their customers. Taking good care of our trees is one of the most environmentally responsible things we can do for our individual properties, our community, and our planet,” Sara Hesley explained. “Their care should be taken seriously and done properly. Because our industry does not require licensure, there is a broad range of folks providing services that ﬁt into the category of tree care. From planting to removal--pruning, mulching, insect & disease management, and preservation should be trusted to the experts. In 2011, Sara and Jesse combined their love of trees and expertise in the ﬁeld of arboriculture to create Town Branch Tree Experts, Inc., Lexington’s only mom-and-pop, TCIA Accredited, full-service tree care Company. They assembled a team of highly skilled, internationally credentialed professionals. Jesse is one of only ﬁve ISA Board Certiﬁed Master Arborists in Kentucky and Sara is an ISA Certiﬁed Arborist. This project was a high-angle removal of a massive, dead Sycamore on the iconic Gainesway Farm. The tree was between a road and a paddock, making the removal tedious. A team of three Town Branch Tree Experts arborists worked with an 80-ton crane and crane operator to complete the project in a single day_ “Large or small, each tree presents its own unique challenge and we love always being up for the task,” Jesse said. he award winning designers of Decorating Den Interiors specialize in kitchen, bathroom and ďŹ replace remodeling as well as custom window treatments, furniture, rugs, lighting and accessories for every style and budget. While this family is on the go all the time, they gather every evening for dinner, something very important to Meredith. “We make it a point to have a sit-down dinner together almost every night during the week, even if it’s almost bedtime. Most days this is the only time we’re all together and can talk about any upcoming events or things that may be going on at school or in our personal lives,” she says. Though she would never describe herself as a Super Mom, Meredith’s actions and service to others, particularly her family, and her extended family of Girl Scouts, Exchange Students, and the children of Madison County, automatically elect her to Super Hero Status. Inspired by her own mother daily to be the best mom she can be, Meredith divulges, “I just want the best for my kids. I want them to have the chance to do things and I want them to believe in themselves. I want them to look back and remember that I tried to give them the best of myself while encouraging them to play sports, be brave, and get out and try new things.” Here, Meredith was gracious enough to provide some insight into her family activities, the tools that keep them organized and the sources she draws from to keep her superwoman-like-powers ﬂowing. What is the most rewarding part of being a mom? The most rewarding part for me is just simply watching my girls grow up. I love to watch them when they’re with their friends and watch how they interact. I love when I catch them being nice to each other and acting like friends instead of big sister/little sister. My favorite part is just watching them grow into more loving, caring, thoughtful and kind young ladies who are trying to do good things in life. How do you manage to balance your time with work, social, health and family obligations? Lists and calendars! I keep lists and put everything in my Google calendar that Darius (my husband) and I share. Darius and I work together on every aspect. We’re on the same team and I couldn’t do anything as a mom without him! Another big thing we do is meal planning. We don’t meal prep – we just plan. Typically, we plan our meals out for the month based on our scheduled activities using an app that also keeps a running grocery list for us. Then we use Click List at Kroger – it’s seriously the best invention! Is there anything else you’d like to add about why you are a super mom? I know I mentioned my husband before, but I honestly couldn’t do this without him. He works full time and drives almost four hours a day and is still as involved with our family and activities as he possibly can be and always has been. He has always supported me in all I’ve wanted to do and everything I’ve signed up for, even when it took time away from him. What advice do you have for other moms? Take care of yourself both physically and emotionally. Do something that makes you happy: go the gym, have lunch with a friend, go on a trip, or just meet for coffee. Stay in touch with the people you care about and don’t compare yourself or your kids to other moms and their kids. Spend time alone with your husband, even if you can only ﬁnd a few minutes a day or at the grocery together. Finally, make sure you have a good support system and great friends. We all need someone to laugh with, share the good and bad with, go on adventures with, and sometimes, even share the responsibility of driving each other’s kids around or keeping them for a few days. It really does take a village! MY FAVORITE PART IS JUST WATCHING THEM GROW INTO MORE LOVING, CARING, THOUGHTFUL, AND KIND YOUNG LADIES WHO ARE TRYING TO DO GOOD THINGS IN LIFE. These adorable children’s brands were founded right here in Lexington by local moms. Hop online to ﬁll your Easter baskets with sweet Spring styles for your little ones, while supporting these momtrepreneuers and the many locals that they provide jobs to. thebeaufortbonnetcompany.com littleenglish.com bellabliss.com Photos belong to Beaufort Bonnet, Little English and Bella Bliss. Virus, Feline Immunodeﬁciency Virus (FIV), Infectious Peritonitis or Coronavirus, Chlamydia, and Bordetella. Talk with your pet’s veterinarian about your pet’s lifestyle, any traveling your pet may be doing, and the geographical region you live in to determine which diseases they may be susceptible to. Your veterinarian will help create a tailored vaccine schedule to meet your pet’s individual needs. It is also notable that due to its highly contagious and lethal nature, the rabies vaccine is required by law in most US states. Pet owner compliance with this law is critical in preventing the spread of the fatal disease that is transmissible to humans and animals alike. Anytime your pet has received a vaccination, it is imperative that you monitor them closely for 24 hours for any possible allergic reactions to the vaccines. Symptoms of a vaccine reaction can include vomiting, diarrhea, difficulty breathing, hives, swelling, and acute collapse. It is normal for your pet to be a little lethargic and tender at the injection site for the next day after receiving their vaccines. If pet owners have any questions regarding potential reactions, they should not hesitate to contact their primary care veterinarian or the nearest emergency veterinary hospital. Overall, pet parents should know that vaccinating their pets can help to not only prolong their lives, but can also help save hundreds, if not thousands, of dollars in veterinary care should an unvaccinated pet fall victim to an easily preventable disease. Be sure to discuss your pet’s vaccine schedule with your regular veterinarian and follow medical guidelines to ensure your pet is protected and in good health. eclectic new neighborhood restaurant opens in the former Wines on Vine location. Saturday and Sunday from 10-3 which she describes as “going all out”. The brunch menu offers dishes like Salted Caramel Apple Waffles, the classic Hot Brown turned into a 3 egg omelet stuffed with ham, turkey, bacon and tomato drizzled with mornay and spring onion. Then there’s the Beef Tenderloin Benedict, a combination of toasted English muffin, ﬁlet medallions, sauteed spinach, poached eggs, lump crab meat and hollandaise. with Chef RANADA RILEY Favorite veggie? Asparagus sautéed with a little salt and pepper. Simple is best! What made you fall in love with food? Watching my mom and grandmother cook. Some of their goto’s were shake and bake pork chops and hamburger helper. My mom made eggrolls and it fascinated me. How do you stay inspired? By teaching. I love to watch it click and they take it and run with it. Favorite cocktail? Ranada’s Bistro Drunken Uncle. Do you have a morning ritual if so, what does it look like? When I get to the restaurant, I turn on lights, make a cup of coffee and turn on the music - I am in a big blues and jazz kick right now I love the 70s+80s. Favorite dish from your childhood? Pork chops and sauerkraut. If you could cook for anyone who would it be and what would you make? Jack Nicholson. As a kid, I had a big crush on him, and I’ve always wanted to meet him. He has such a big personality, so I’d make a big dish. What do you love most about Lexington? I have been here so long it’s a small town feel in a city. I feel like I know so many people here. The support of the community I’m in right now, Chevy Chase is different - these folks are loyal. Ladies from the woodlands pile in and want to introduce me to their friends. It’s amazing. When you’re not working are you cooking or grabbing carryout? Carryout - I like to hit the restaurants downtown. A piece of advice for someone who dreams of pursuing a career in food. Work in a year before you go to school. If you love it, then go! BOURBON BACON JAM Ingredients: 3 lb bacon baked and cut into small pieces 4 yellow onion, ﬁnely diced 5 tablespoons garlic, ﬁnely minced 2 2⁄3 cup apple cider vinegar 11⁄3 cup brown sugar 1 cup bourbon 1 ¼ cup water 1 tablespoon cayenne pepper 1 tablespoon cracked black pepper Instructions: Bake off the bacon and then chop into small pieces. Combine bacon and all ingredients in a pot and cook for about 20 minutes on medium heat until “jam like”. Cool and put into clear quart containers with label and date (shelf life is about 7 days). Ready to cook like Martha Stewart? Martha & Marley Spoon offer seasonal ingredients, pre-portioned for fast and easy meal prep. Ingredients are delivered to the subscriber’s doorstep in a chilled box that includes ingredients and recipe cards. The recipe cards provide instructions and clear photos that help make the prep less of a guessing game. Martha & Marley Spoon pull meals from over 18,000 recipes in the Martha Stewart archive, ensuring variety and creativity on the 10-meal menu each week. Customers may enjoy a tomato and pesto tortelloni bake, pork bulgogi lettuce wraps or roasted veggie white pizza. Vegetarian options are always available. freshly.com | Cost: Choose between 4, 6, 9, or 12 meals starting at $49.99 a week No shopping, no chopping and no cleanup necessary. Freshly delivers chef-prepared meals fresh to subscribers’ doors. Freshly meals don’t include reﬁned sugar, gluten or any artiﬁcial ingredients, and they’re never frozen. Vegetarian options are available weekly. Consider this service to be “gourmet takeout”. Subscribers simply select desired meals from more than 30 weekly gluten-free menu options. Freshly preps, cooks and delivers the meal to the front door. All that’s left for customers to do is heat the meal and enjoy. Prep time is estimated at two minutes, so put that microwave to work! For subscribers with very speciﬁc dietary routines and restrictions, Home Chef is a great option. This service provides 13 weekly meal options, which include sirloin steak with blue cheese compound butter, teriyaki ginger-glazed salmon, chicken Caprese grain bowl, and vegetarian tofu chorizo tacos. Home Chef users enjoy the simplicity and joy of cooking. On the Home Chef website, users can identify which meals cater to their needs, and frequent allergens are clearly labeled, such as milk, ﬁsh, wheat or soy. The subscription can easily be controlled by skipping weeks or pausing the account. Whether users are looking for gluten-free, organic, vegetarian or paleo options, Green Chef makes it happen. This service is excellent for subscribers looking to satisfy food allergies or special dietary restrictions. Users select a plan that caters to their dietary wants and needs, and Green Chef delivers ingredients and easyto-follow recipes guaranteeing meal-prep time right around 30 minutes. Meals at HelloFresh are initially prepared and approved by professional chefs and nutritionists: health is just as important as taste, but efficiency is not forgotten. Once ingredients are delivered to the front door, meal prep time is only about 30 minutes, and ordering the meals can be done on their website or on the HelloFresh app. Subscribers can choose from the “classic” or “veggie” boxes and select three of ﬁve meals they want delivered from the menu on a weekly basis. The Keto Plan features low carb, high-quality ﬂavors, and is the fastest growing menu. The plant-based Vegan Plan is innovative and natural, while the Pescatarian, Omnivore and Carnivore Plans are all customized and delicious. This comfort food is deﬁnitely more than the sum of its parts. Our modern version of this sandwich is the result of the availability of inexpensive sliced bread and American cheese. Our pick: the Mighty Grilled Cheese at The Kitchen at Country Boy Brewing. Confectioner William Schrafft made these sweet, chewy candies popular during the Civil War; though jelly beans didn't become assoicated with Easter until the 1930s. A simple, casual and extremely popular party food that is also a winner at breakfast time. Team biscuit or team croissant dough—how do you wrap your piggies to party? celebrate Cinco de Mayo at El Rancho Tapatio! If this turns out to be PJ Washington’s final season at Kentucky, he’ll certainly leave with a lot of fond memories about what he’s done on the court during his two years playing for coach John Calipari. However, his parents, Sherry and Paul Washington, will also have plenty to remember. Washington’s father has seen a “maturity” in his son going from a freshman learning what to do to where this season he was able to “direct people” in games. Calipari also put the team on Washington’s back the second half of the season—and he responded in a big way. The Washingtons also quickly learned one other thing—Kentucky really is the Super Bowl for every team on the schedule as Calipari had told them. However, what Washington and his parents will remember most about his time at Kentucky if he enters the NBA draft as expected after the season will be the fans. “You get everybody’s best game. No matter who it is, if they beat Kentucky they are going to celebrate,” Paul Washington said. “I think it took PJ some time to fully comprehend that. There are no regular games for Kentucky. Every game is a big deal and I'm sure he'll never forget that. “He has just loved the BBN. So many people get excited when you do well,” Paul Washington said. “It almost makes you feel like a rock star with the love the fans give you. It’s insane the love he gets throughout the state. It would not surprise me if he ended up (living) in Kentucky one day just depending on the direction his life goes. Forgive Kentucky associate head coach Vince Marrow for being almost giddy when he even thinks about the upcoming NFL draft April 25-27 in Nashville. For a team that has had just three ﬁrst-round picks in the last 20 years (Tim Couch, Dewayne Robertson and Bud Dupree) and only eight picks total in the last eight years (none the last two years), Kentucky could have two ﬁrst-round picks this year and between eight and 10 players selected by the time the draft ends. “We have never had people drafted (some years) and now every day you are going to see our logo and see these guys get drafted,” said Marrow. “I never thought Josh Allen, Mike Edwards and C.J. Conrad would stay this year (at Kentucky for a senior season instead of going to the NFL draft) and that was biggest recruiting thing we ever did. We got the beneﬁts of a great season and now those guys and more are going to get the beneﬁts at the draft.” Allen, the consensus national defensive player of the year, is viewed as “no worse” than the No. 3 pick overall and most mock drafts have him going second. C.J. Conrad and Benny Snell both should be mid-round picks in the NFL draft later this month. KEENELAND SPRING RACE MEET April 4 – 26 | Keeneland Race Course One of the most iconic venues in horseracing, Keeneland allows patrons to “enjoy racing as it was meant to be.” Guests can put on their race day best and enjoy the clubhouse or keep it casual and watch the races from the grandstand, boxes or paddock. The Hill at Keeneland also offers tailgating, wagering, and live coverage of the day’s races on the big screen. Sunrise Trackside is a free family-friendly event beginning at 7 a.m. each Saturday during the race meet and includes breakfast, children’s activities, walking tours, handicapping seminars, equine demonstrations and, of course, watching the racehorses exercise on the track. For more information go to keeneland.com. KEENELAND SPRING RACE MEET April 17 | 5:30 – 10:00pm | Fasig-Tipton Celebrate those who are making a difference in farmland conservation in Central Kentucky. Since 1998, the Bluegrass Land Conservancy has protected more than 27,000 acres of local farmland from development in order to sustain the region’s identity, economy and way of life. The Farmland Conservation Celebration and Auction features local food, festive cocktails and a wide array of live and silent auction items up for bid. For more information or to purchase tickets, visit bluegrasslandconservancy.org. WINE AND CHEESE TASTING BENEFITING CENTRAL KENTUCKY RIDING FOR HOPE April 18 | 6:30 – 9:00pm | The Twisted Cork Sip and taste your way through a selection of wines and cheeses while supporting Central Kentucky Riding for Hope, which offers therapeutic riding and equine-assisted therapy programs for children and adults with physical, cognitive, emotional and social needs. CKRH volunteer and craft cheese maker Roger Shook will offer a selection of homemade cheeses, which will be paired with wines selected by the team at The Twisted Cork. For more information, visit the Central Kentucky Riding for Hope Facebook page. LAND ROVER KENTUCKY THREE-DAY EVENT April 25 - 28 | Kentucky Horse Park Known to fans as “The Best Weekend All Year,” the Land Rover Kentucky Three-Day Event has something for everyone. The top horse and rider combinations from around the world will converge on the grounds of the Kentucky Horse Park to compete in Olympic-caliber competition in the three phases of eventing: dressage (Thursday/Friday), cross country (Saturday) and stadium jumping (Sunday). Saturday afternoon, the some of the world’s best show jumpers will take their turn in the spotlight to compete in the $225,000 Kentucky CSI3* Invitational Grand Prix. In addition, guests can enjoy everything from live music and a wide variety of food offerings to bourbon tastings, shopping, tailgating (on Saturday) and more. To order tickets, call (859) 254-8123 or go to kentuckythreedayevent.com. Join the movement and transform Lexington, one compassionate act at a time! #LexGiveBack together! Due to the changing nature of events, please contact hosting organizations before attending any event. Visit TOPSinLex.com for more fun! Kyle Macy, Todd Ziegler, Rick Robey, Jack Givens and Dave Baker at Republic Bank Bring on the Madness! Who's Who, What's New and What to Do in Lexington, Kentucky.